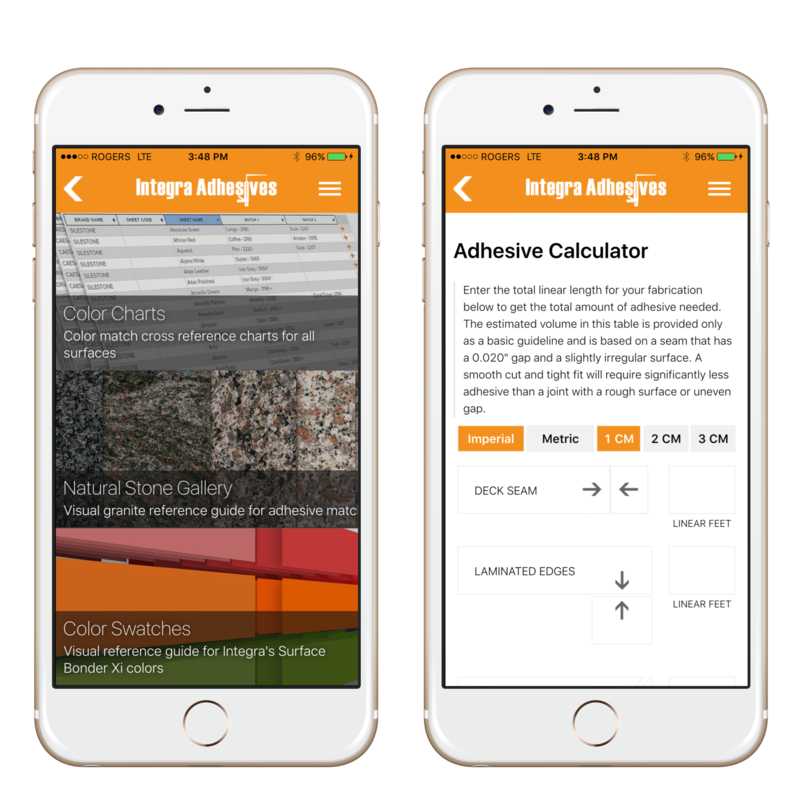 Integra Adhesives uses the 14 Oranges’ mobile application management service to deliver their iPhone and Android apps. The apps allow their end users to access Integra’s color charts quickly and easily while on-site. Users can view natural stone color swatches and access Integra’s vast collection of adhesive colors to match. Fabricator tools are also included to allow users to calculate adhesive volumes needed to get the job done.